Discover the ONLY 3 Steps you need to quickly create a high quality Low Price Point (LPP) information product. Get step-by-step help picking tour title and topics to producing and packaging your product. 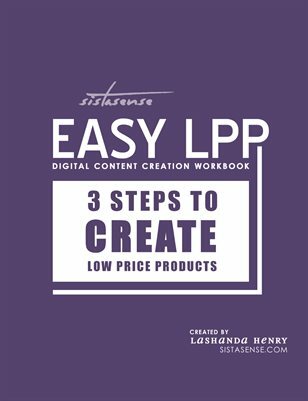 This workbook is meant to compliment the Easy LPP audio training series, which is sold separately.